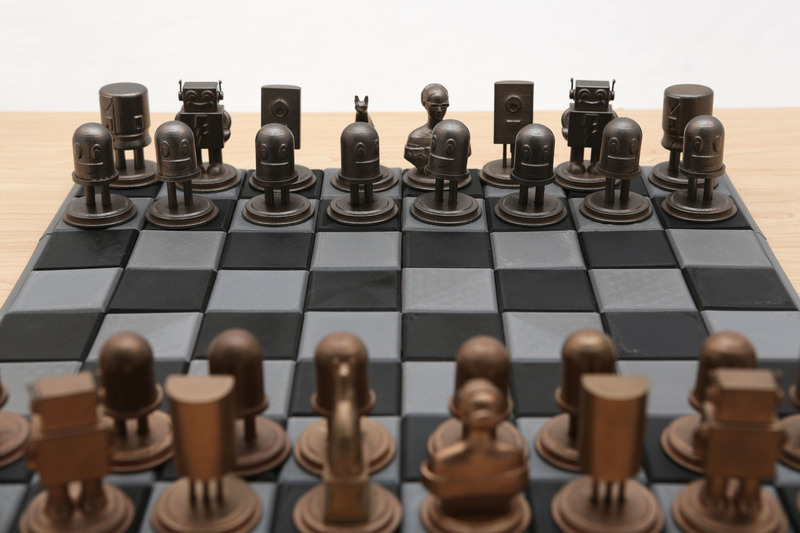 Why not play with a chess set by Adafruit? 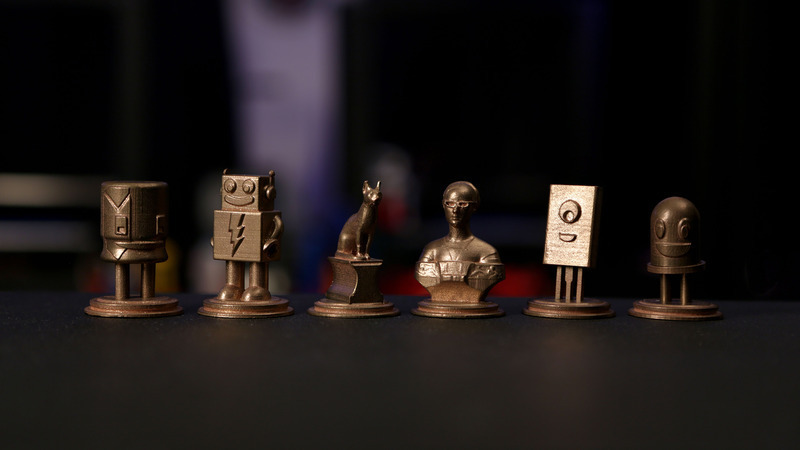 The whole set is 3D printed with metal filament – the board as well as the chess figures. The board can be printed in common PLA filament. First it is printed in pieces that can later be joined together like puzzle parts, you won’t need any glue. Each square is 5 cm; the whole board is 40×40 cm. It is easy and won’t take much time. To print the parts you will need filament and a 3D printer, as well as rotary tumbler, brass and steel screws, gloves and a breathing mask. For better operation it’s required that you use blue painters tap and heat the extruder to 230C and the bed to 60C. Each printed layer will be 0,15mm. The speed of printing is about 30mm/s. The figures will be in separate parts. They are to be printed without support material. 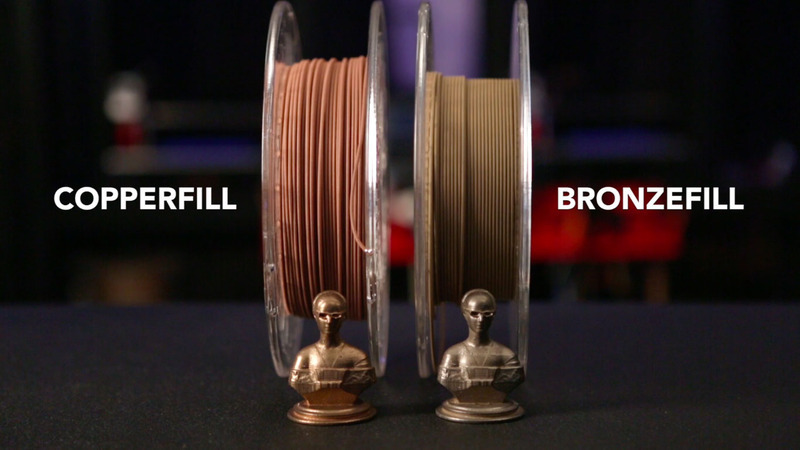 You may use either metal or PLA filament to print them. 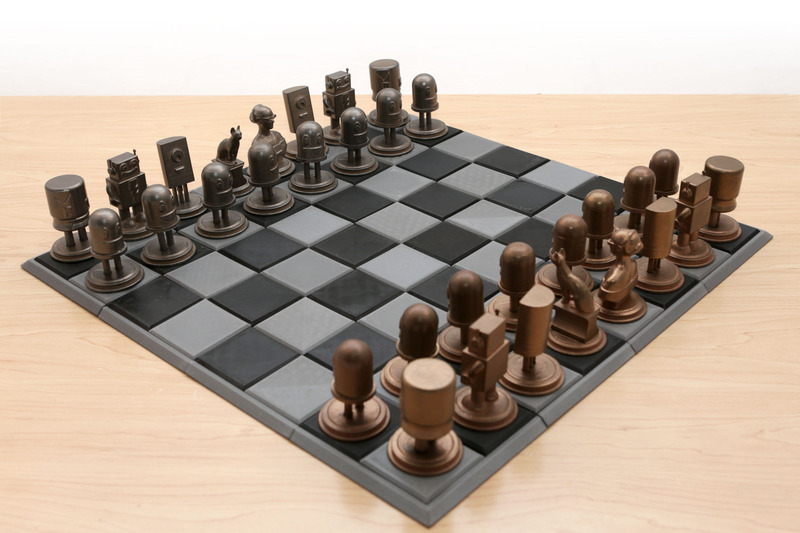 The chess board design is to be printed in common PLA. It is up to you to decide of which two colors to have the board. To prevent materials from mixing it is advised to use two separate rotary tumblers. 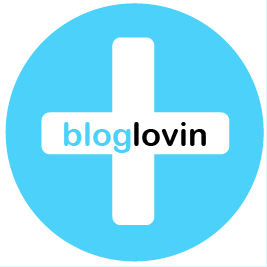 This will also help to quicken the process. You should also use two different types of screws and the tumbling medium – brass for copperFill and steel for bronzeFill. Old screws will not work well as they won’t ensure required abrasion. To finish up all this, each piece should be tumbled for nearly eight hours. After the pieces are ready, they should be joined. Ordinary super glue will be OK. Legs are to be inserted into the body, and then glued. To align the legs perfectly, glue the legs after you insert them. So here you are, the board and figures are ready. Choose a partner for the game and enjoy it. After the game, put the whole set into the dry air-tight container, if you used metal filament. That will prevent oxidizing. You may dismantle the board and put it into a box or bag. If you managed this project, share it with others on Thingiverse or Adafruit.